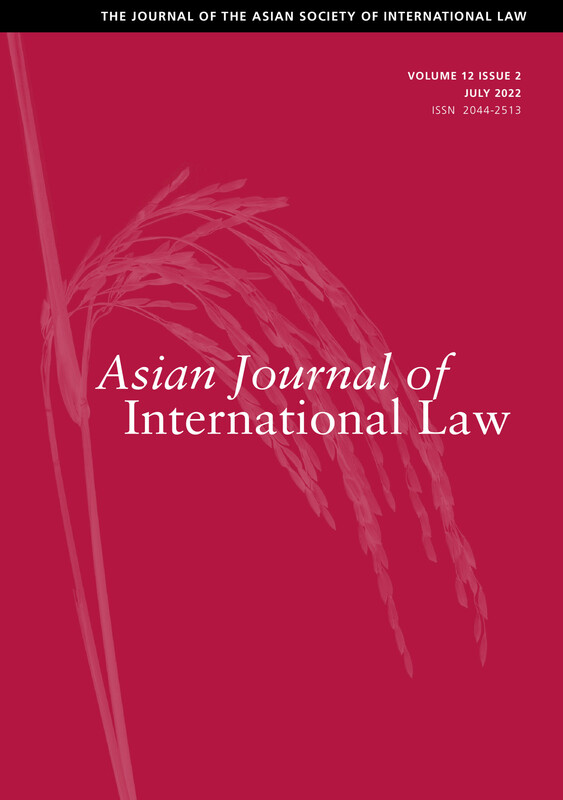 The Asian Journal of International Law (AsianJIL) publishes peer-reviewed scholarly articles, Notes and Comments, and book reviews on public and private international law. The regional focus of the Journal is broadly conceived. Some articles may focus specifically on Asian issues; others will bring one of the many Asian perspectives to bear on issues of global concern. Still others will be of more general interest to scholars, practitioners, and policymakers located in or working on Asia. The Journal is published in English as a matter of practical convenience rather than political endorsement. English language reviews of books in other languages are particularly welcomed. The Journal is produced for the Asian Society of International Law by the National University of Singapore Faculty of Law and succeeds the Singapore Year Book of International Law.